Digital technology has been quietly transforming Australian agriculture for the past few decades and is now extending to the outback and making impact in ways previously not anticipated. Education, collaboration, security, monitoring, and improved efficiencies are making a big difference in a highly competitive and risk filled environment, which is why our primary producers are jumping on board. Chatting more recently on the phone with an older generation Riverina based rice grower, he told me how he was transferring data from his tractor to his agronomist’s office by email. In short, all modern farm machinery requires a level of digital literacy on the part of farmers. And this needs to be backed up by technicians trained to service these increasingly complex machines and analyse the big data they can produce. What was initially viewed as a novelty or purely educational is now becoming serious business as the potentials are realised. My colleague, Tim Gentle from the Think Digital Coach has been touring cattle industry events the past few months with a virtual reality experience aimed at inspiring more young people to take up farming. Initially it’s a far reach for cattle farmers but it starts to make sense when Tim spells out the possibilities and they are quickly being taken up. Virtual Reality videos can be used to help promote and sell animals, machinery and properties to buyers who are located hundreds if not thousands of kilometres away. They can also be used to induct staff in a real life, yet safe, environment. Cost efficiencies and shared risk is seeing a resurgence in agriculture cooperatives and collaborations seeking to drive innovation and improve farm gate returns. Funded by the Australian Government, the Farming Together Program has supported almost 500 groups with collaborative projects over the past two years. One of the projects has enabled the Birchip Cropping Group to evaluate a digital agricultural cooperative. Unless you are extremely tech savvy it is hard to know what the best choices are. Ultimately the aim is to give farmers access to trusted sources to provide increasingly complex digital technology. As our climate continues to change and water becomes more expensive, sustainable farming practices and monitoring are becoming more important. And, as wages increase and staff numbers fall, real time data enables farmers to better manage their crops, livestock and pastures. Progressive young cattle producers like David and Rebecca Comiskey at Melton in central Queensland have already adopted the basics and are keen to do more. With minimal staff and 8,500 hectares to monitor, apps on their smart phones currently help them to monitor their solar powered stock fences and water storage as part of their introduced rotational grazing system. They can even monitor rainfall while away from the property which helps with their planning and enables them to enjoy important recreation time. Security on remote properties is another increasing concern. Viewers of the acclaimed Mystery Road may have noticed camera footage from water trough locations around the Western Australian property that featured in the series and provided key clues to the disappearance of two young stockmen. Far from fiction, this is an actual tool that assists farmers Australia wide, not only with monitoring but security. Fixed cameras provide sheep breeder, Jock MaCrae in central Victoria with live feed of his assets via his smart phone. Gate monitors alert him to unusual activity and there is potential for tags to also be placed on key stock to alert him to mob movement that could indicate a dog attack or theft. All this can be verified before leaving a warm bed and driving out into the paddocks. Improved efficiencies is essential when growing animals or crops and manufacturing related products in large quantities. 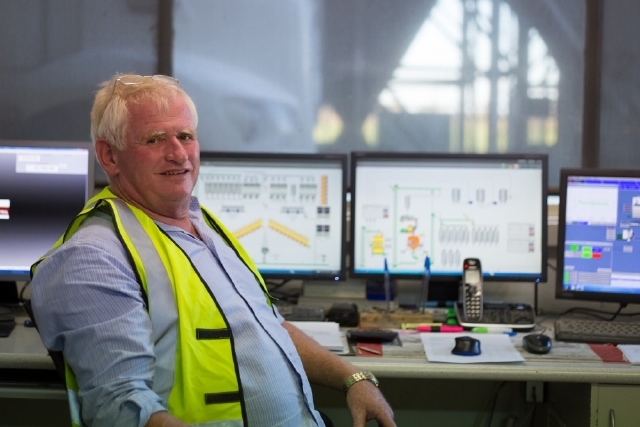 At Pentagon Feeds in northern Victoria, an infra-red machine, the size of a little computer, gives them the ability to scan incoming samples of grain, and translate the imagery into data that is then emailed to their nutritionist for analysis. Another piece of technology then accurately sprays up to an additional 4 percent of fat coating around the food pellets. 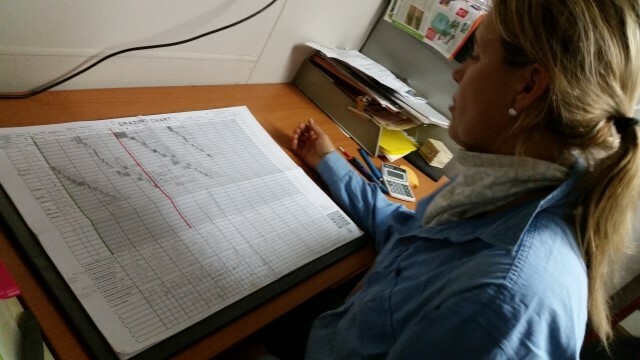 A nutritionist uses the information from this equipment to formulate appropriate rations for each class of pig. And of course digital technology is an absolute blessing for smaller producers entering niche markets. They are able to market and sell their produce world-wide. Simply Rose Petals in northern Victoria was an early adopter of technology to transform a cut flower business into packaged rose petals for weddings and events. Sales via a website and intensive use of social media has taken their product into 15 countries. In another great example, Lauren Mathers from southern New South Wales had a vision of a herd of free roaming black heritage pigs rooting about improving the soil. Bundarra Berkshires was subsequently born and now she sells quality pork products online and through farmers markets. Slowly the National Broadband Network is being rolled out to the regions with wireless tower options providing access for more rural properties, however, connectivity remains a big issue in many areas. Thankfully, there are many instances of those willing to work with innovators, finding their way around these issues. William Creek in South Australia took the option of lobbying in Canberra and getting Optus to allocate satellite access to their tiny town. In another partnership with Richmond Shire Council, a broadband internet service, Wi-Sky, was generated for Queensland cattle producers and now services 50 customers across a 20,000 square kilometre radius. Not only is this connecting farmers but also their children to School of the Air which has long struggled to deliver online services to many of their remote customers unable to download videos and big files. 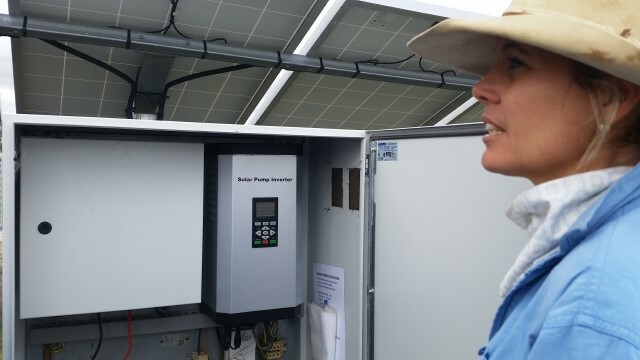 Slade Beard from Eco Thought is approaching this same problem for remote stations through the development of smart farm sensor and control systems powered by a radio-based network with low bandwidth Wi-Fi over long distances. 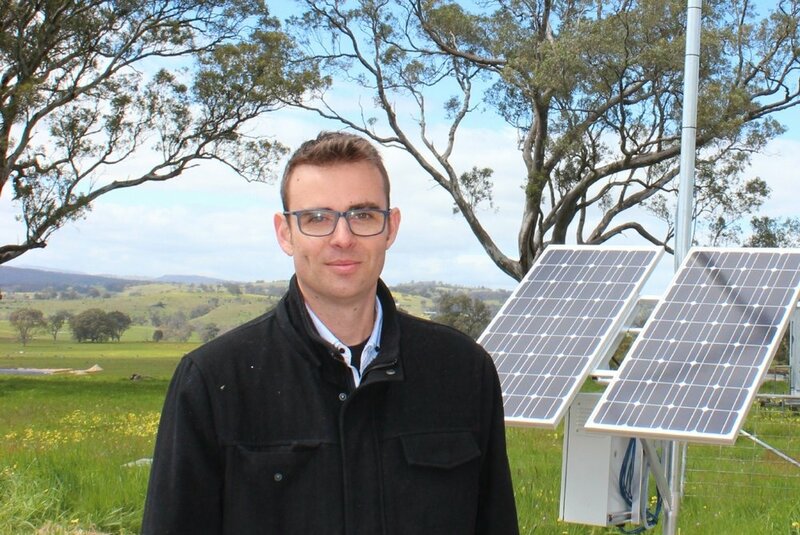 He plans to utilise old windmills to hosting radio masts and is now rigorously testing the hardware to ensure it can stand up to Australia’s harsh weather conditions. Even in the more highly populated and smaller state of Victoria, issues still arise with connectivity. ‘Neighbours separated by a single hill are finding that one is eligible for high speed internet services while the other is relegated to either congested Next-G or slow and expensive satellite services,” explains Grant Sutton from Ag Cloud. His company has developed a solar-powered broadband repeating system that allows a daisy-chain radio network to be realised. In plain English, this means that farmers can extend their high speed internet reach to parts of their properties previously not able to take advantage of digital technology. Even to a casual observer like myself, each year the agricultural industry is venturing more and more into what was previously viewed as science fiction. Digital technology is big business from one end of this big country to the other.